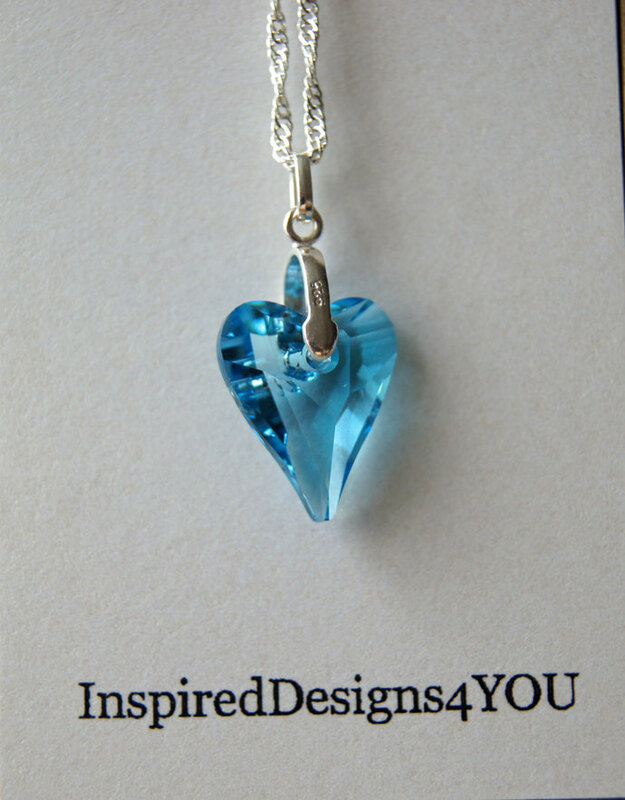 Light Blue Swarovski Pendant. 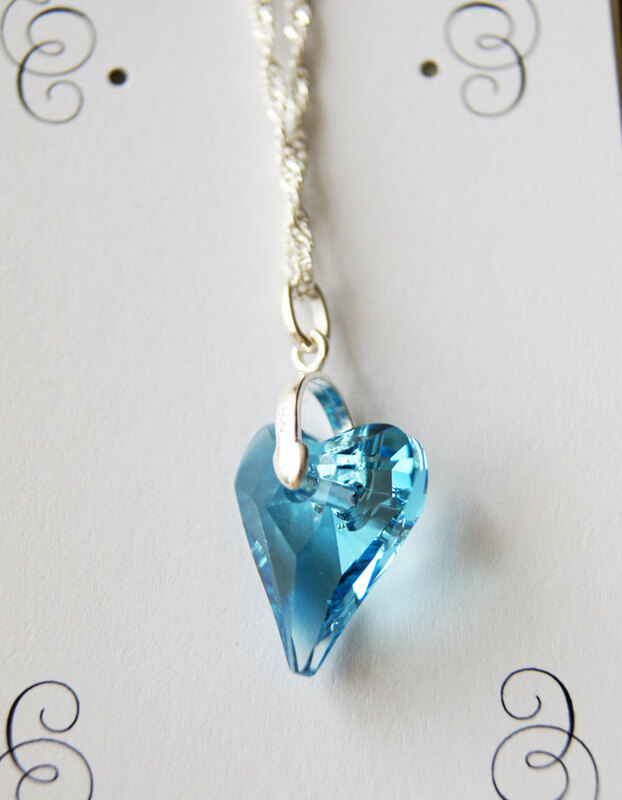 Floating Heart Pendant. 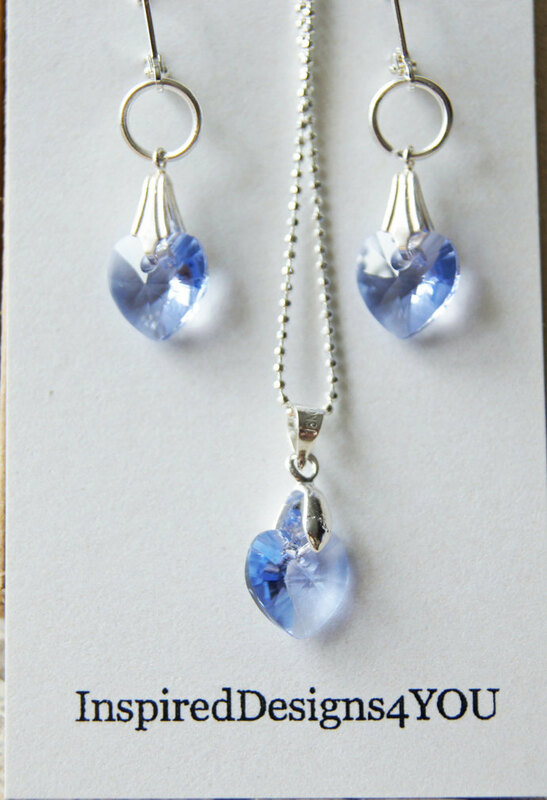 Stunning floating heart, with Sterling Silver chain. Lovely iridescent quality capture the light clarity and depth of colour. 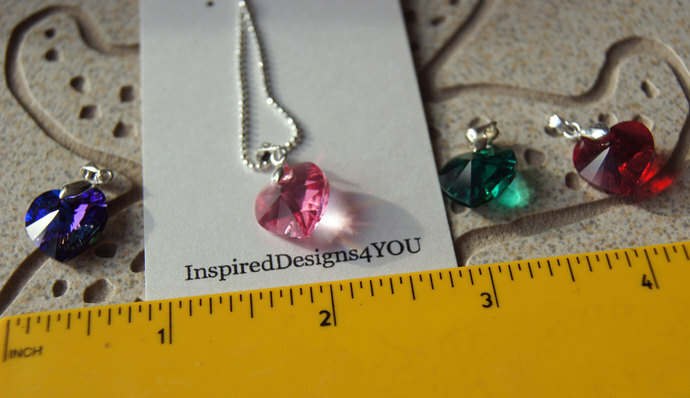 Sterling silver hypo-allergenic bail and chain comes with this beauty. Only one in stock. We also carry hearts, in many sizes for your discerning please. Hypo-allergenic, nickle free with 16 inch sterling silver chain.All items are carefully packaged and prepared in my smoke free studio.Photo's 4 - 5 show other selections available in my shop. Thank you for looking, personal attention and excellence are always guaranteed. please contact me and I'll do my upper most look after you. Shipping: Please provide a phone number and email address as Canada Post requires that for all items leaving Canada. Shipping is by regular post not tracked unless you choose that option. Tracking provides guaranteed delivery with confirmation via email, this is the best method especially if you need in a timely fashion. If you are purchasing for another person, please provide shipping details, if you wish a packing slip with complete address and phone number (You may use your own phone number and email if that is where you wish the tracked information to be sent too)! I can also upon request issue a gift tag or card at no extra cost.